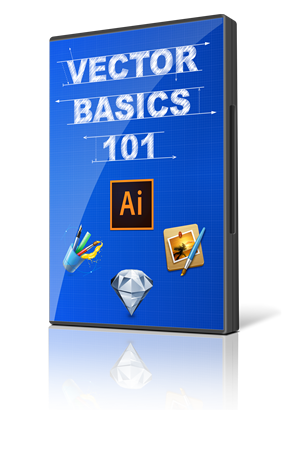 Vector Basics 101 is a video-based training course aimed at anyone wishing to learn how to create vector graphics on a Mac. Buy This Training Course NOW For Only £97! Learn how to master shape creation using Adobe Illustrator’s extensive collection of vector tools and create fun, funky and functional re-usable shapes. Learn the secrets of the new TouchType tool and see how integrating Illustrator and Photoshop will take your photos to the next level. Sketch is a cost-effective but powerful professional vector graphics app for the Mac. Vectorize fonts to make your designs portable across any platform and any device and learn how to integrate Sketch with your image editor of choice. Released in 2014, Sketch version 3 contains a whole host of new features including Symbols, improved exporting and styles. In part 3 of Vector Basics 101, Elaine demonstrates these new features as well as shared where to get some great free Sketch resources including a complete iOS8 UI Kit. In Part 4 she takes you on a tour of all the new features of Sketch 3.
iDraw is a vector design and illustration application, available for both Mac OS X and iPad. In this session you’ll learn how to leverage the power of iDraw’s shapes and how to use this powerful feature-packed application to create an iOS mockup. Vectors in Pixelmator? With Pixelmator we’ll explore the secrets of Vectormator mode. We’ll also investigate how to extend the vector tools in Pixelmator and finally work through using Pixelmator to create a website mockup. If you’d like to know more about our Vector Basics 101 course, download the overview document. There are 2 versions – PDF and ZIP. Lifetime access to the recordings. One payment. No renewal fee – ever! The recordings are yours to keep forever!